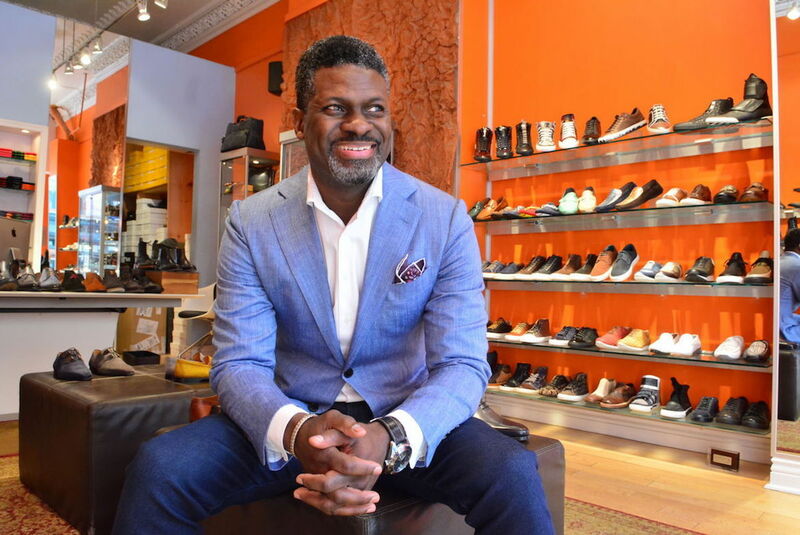 As the owner of the Center City’s destination men’s shoe store, Steve Jamison could easily marvel about the path he took before opening Blue Sole Shoes. The North Philly native recalled a childhood eating government-issued cheese and patching up holes in the bottom of his sneakers. To become a successful minority business owner, Jamison had to combine hard work and tenacity along with risk and luck. The African American Museum in Philadelphia (AAMP) is notable as the first museum funded and built by a municipality to help preserve, interpret and exhibit the heritage of African Americans. Opened during the 1976 Bicentennial celebrations, the AAMP is located in historic Philadelphia, a few blocks away from the Liberty Bell. AAMP currently houses four galleries and an auditorium, each of which offers exhibitions anchored on one of three dominant themes: The African Diaspora, the Philadelphia Story, and the Contemporary Narrative. The Museum is home to more than 750,000 objects, images and documents that are made available for research, exhibitions, for loan to other museums, and used in the Museum’s many educational programs. Temporary exhibits, as well as a variety of family events, workshops, films, tours, symposiums, and concerts relating to African-American culture and history are offered.